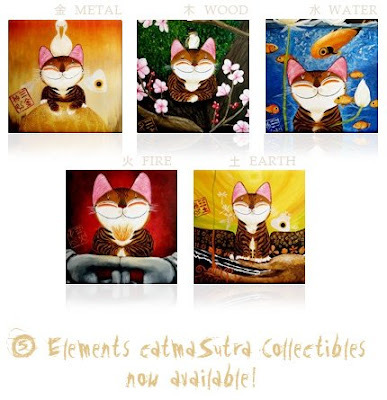 New cat art collectibles from Catmasutra! The modern world is never about balance. It's the imbalance that makes her go round. The world is huge, but we want to squeeze everything into the palms of our hand. And we call it a good thing. We used to play in the rain out in the open, now young children are glued to their PSPs. There's no way we can find balance in the modern world, as she sells us another version of "balance" on her terms. There's always another version. When we lose our balance, we try to plan for the future, set new year resolutions... plan to give ourselves more time (which is a near impossibility sometimes). Truth is we can never find balance out there. No matter how we plan, we just can't seem to get the balance right. So stop. Just be with yourself for a while (forget about the world) and breathe. Haha ;) The best way to prepare for the future is to take care of the present. When we stop chasing the future, we realize we're actually good right here in the present moment. If we can't stay still; if we can't stop awhile, we would already have missed our appointment with life. You can never find a way that'll lead you to balance, peace or happiness. Balance, peace or happiness are themselves the way. All we have is our inner compass. Everything points to the present. Live. Live in the present. Time is not constant. Time in stories least of all. 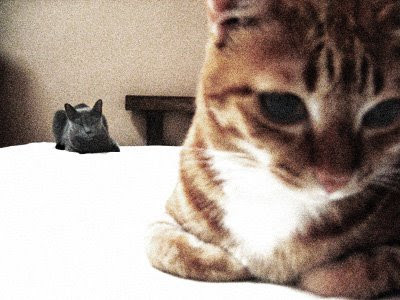 Anyone can fall asleep and lose generations in their dreams. There are times when all the stories that are folded into this one can be shaken out and let loose, but until then, like the lives of saints, more is contained than can be revealed. The world itself will roll up like a scroll taking time and space away. All stories end here. There are people who will be whisked away in closed cars to comfortable beds. The rest of us will search for the bus. Luggage. Heaven or hell in the hereafter will be luggage or the lack of it. The ones who recognized that love is enough and that possessions are borrowed pastimes, will float free through the exit sign, their arms ready to hug their friends, their toothbrush in their pocket. The one who stayed up late, gathering and gathering like demented bees, will find that you can take it with you. The joke is that you have to carry it yourself. The moon and the white clouds at the window. How many times have I seen it before? Perhaps it is true that the world is made new again every day but our minds are not. The clamp that holds me will not let me go. How shall i live? I was living wasn't I? 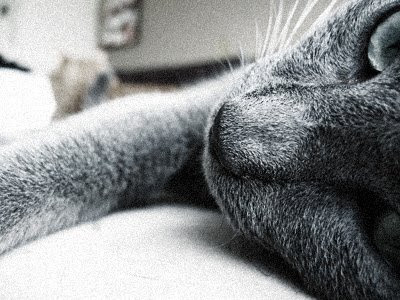 I dreamed I was a single moment in a single day. I have lost my rhythm and I was trying to find it back. It won't come, of course. That's not how rhythms work. It has to do its thing first. The journey is to find it back. We all do this one time or another (or maybe it's just me for I can't live on the surface of things). Like most things, when you look for it, it's not there but when you're ready (and perhaps not expecting it) it appears. I saw a little boy at the supermarket yesterday, standing still. Amidst the maddening crowd, this little kid was there holding up a single prawn with his fingers, slowly rotating and looking at it from different angles. I stood there for a while, watching him and I realized he was completely captivated by the prawn. It was almost as if he finally understood what a prawn really is. The mother returned with a disapproving look and sent him off to wash his hands - the real world beckons - there is no time for magic. I sell magic beans 'cause I believe in them. It's not something that you keep to yourself. There's just no fun in that. Besides, it helps me to believe in them. See the eyes sparkle for an instant, feel the heart open a little - there's the magic, however fleeting. Alas, if you're like most people (or like Jack's mother) you probably throw them away. There is no place for magic. I sell magic beans because one day when you look at your backyard, you may be able to see a huge beanstalk growing; and if you're lucky enough you could even climb it, steal a glimpse above the clouds. It's hard to believe in magic when no one else believes in it. Yet we all believe in it once upon a time. Many times I've told myself not to sell magic beans anymore simply because there are no takers. What's the point? Why do I care? There're so many things on sale these days. No matter how many were bought, the shelves keep filling themselves up (almost like magic). Where do all these things go? If that's not enough, we have the 24-hour Valium of the television to lose ourselves in. might be able to take the risk of being human with you."